The winning teams will be invited to Washington, D.C. to demo their application at an energy data event later this summer. The U.S. Energy Department’s Apps for Energy offered $100,000 to software developers for the best new apps that help utility customers make the most of their Green Button electricity usage data. 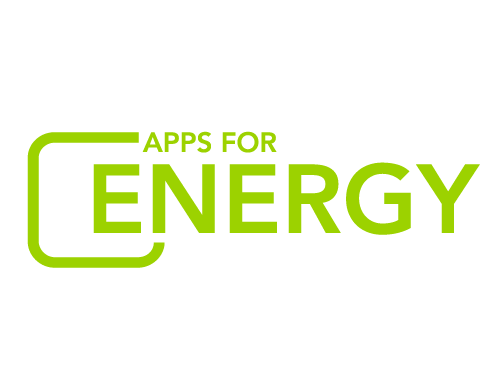 The U.S. Energy Department’s Apps for Energy competition is offering $100,000 in prizes to software developers for the best new apps that help utility customers make the most out of their Green Button electricity usage data. Green Button is an open standard for sharing electricity data that is available to millions of utility customers, so mash it up with other public data sources to help homeowners and businesses take action, understand their usage and make better-informed decisions. Questions about this competition? Start here with our FAQ. Looking for app ideas? Here's a list to get you started! 1. Visit http://appsforenergy.challenge.gov and click “Sign Up” to create a ChallengePost account, or click “Log In” and log in with an existing ChallengePost account. 2. Register your interest in participating by clicking “Accept this Challenge” on the Competition Website in order to receive important Competition updates. Registration is free. No purchase necessary. 3. After you sign up on Challenge.gov, a confirmation email will be sent to the email address you provided. Use the confirmation email to verify your email address. As a registered Contestant, you will then be able to enter the Competition by submitting an application that conforms to the requirements set forth herein (each, a “Submission”). 4. Explore the Green Button data and other resources available at http://energy.gov/developer. 5. Create a working Software Application (the “Application”) that uses Green Button data. While not required, it is recommended to use other third-party data in combination with Green Button to enhance the usefulness of the App for users. 6. Between 2:00 p.m. ET on April 5, 2012 and 8 p.m. ET on May 15, 2012, visit Appsforenergy.Challenge.gov and confirm that you have read and agree to the Official Rules, and submit your application by including: a) a link to your Application; b) a video of your Application to demonstrate navigation and functionality; c) a text description of your Application; and d) at least one photograph of your working application; e) optionally, submissions may include sample Green Button data to be used when judging the submission. Vice President, Corporate Communications of Itron, Inc.
Each submission will be rated on the strength of its potential to help individuals, organizations, and communities make informed decisions about their electricity use. Each submission will be rated for the degree of new thinking it brings to applications for the energy sector, and the creativity shown in designing for impact. Each submission will be rated on its user experience and interactive capabilities. Preference will be given to applications that are easily accessible to a range of consumers, including those with disabilities. Each submission must make use of Green Button electricity usage data. You can combine these data with other data sets, but if your app doesn't use Green Button data, it will be disqualified. You can find sample Green Button data at energy.gov/developer.